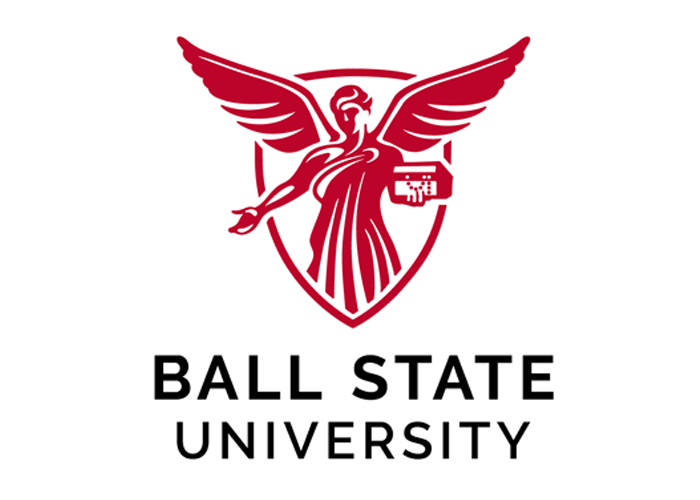 Ball State University is a comprehensive public university in Indiana and listed among the top 100 public universities in the United States according to U.S. News and World Report. We offer an innovative education in 190 undergraduate majors and 140 graduate programs. Many programs, professors, and students have earned national recognition. In the tradition of famous alumni like late-night television legend David Letterman, Garfield cartoon creator Jim Davis, Apple senior vice president Angela Ahrendts, our graduates become leaders who make an impact on the world around them. Learning isn’t confined to the classroom or the campus at Ball State. Through creative, hands-on, real-world experiences, our students apply new knowledge to solve problems for local and global communities. Ball State’s beautiful mid-size campus in Muncie, Indiana, provides the intimate atmosphere of a smaller college plus the plentiful resources of a large university. Each year, Ball State awards comprehensive merit scholarships to new international undergraduate students. We review all international applicants for scholarships ranging from $2,000 to $8,000 per year. We also offer more than 940 graduate assistant jobs to our nearly 1,500 on-campus graduate students. Around 63% of our graduate students receive assistantships and we review all international applicants for assistantships. Ball State offers conditional admission. The Intensive English Institute (IEI) provides six levels of English training and academic skills building courses. A TOEFL or IELTS are not required for the majority of our programs for students who complete the IEI.